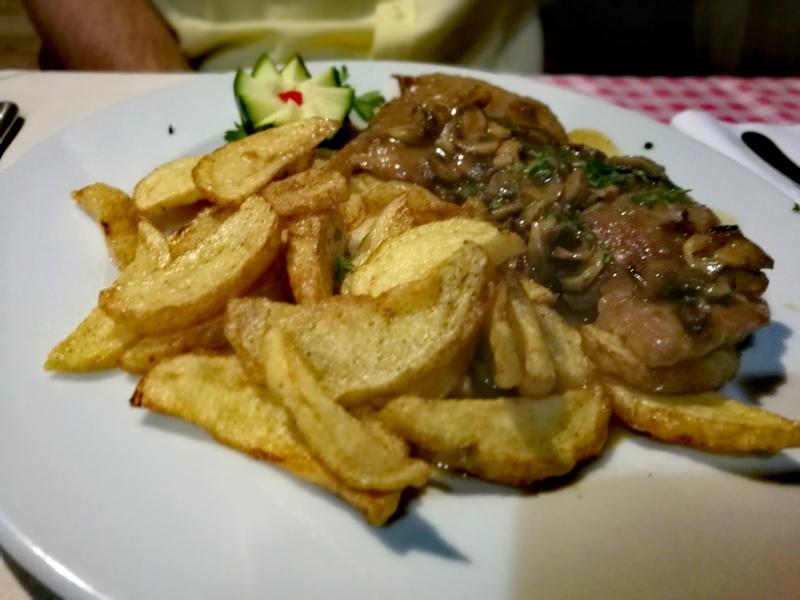 Couple of weeks ago I went to a restaurant which serves traditional Croatian cuisine, mixture of food from the south and middle parts of the country. You can find restaurant on two locations in the city: Gornji grad (Mletačka 11) i Kajzerica (Bencekovićeva 28). The interior is really nice, old fashioned, and filled with old tools and souvenirs from different eras. Even the waiters are dressed in a traditional shirt and pants which brings the whole story to another level. 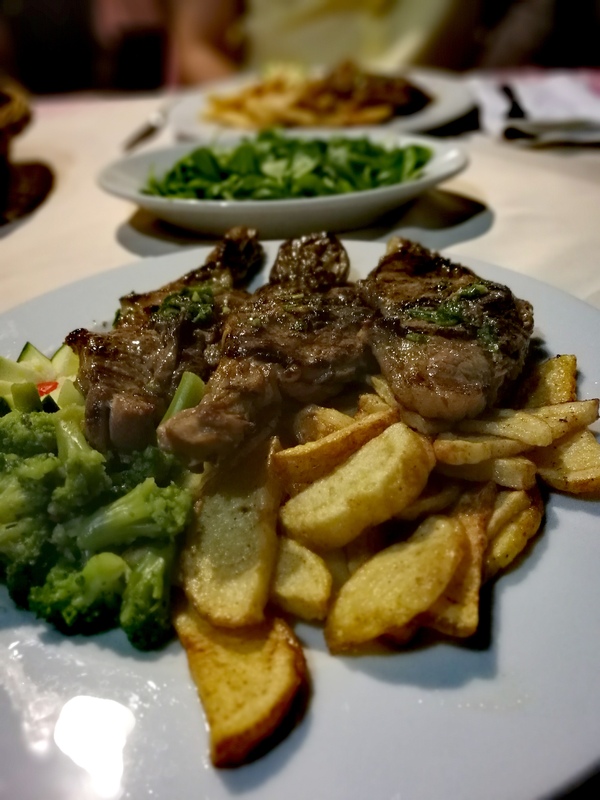 This restaurant is the embodiment of tastes and flavors of Dalmatinska zagora. 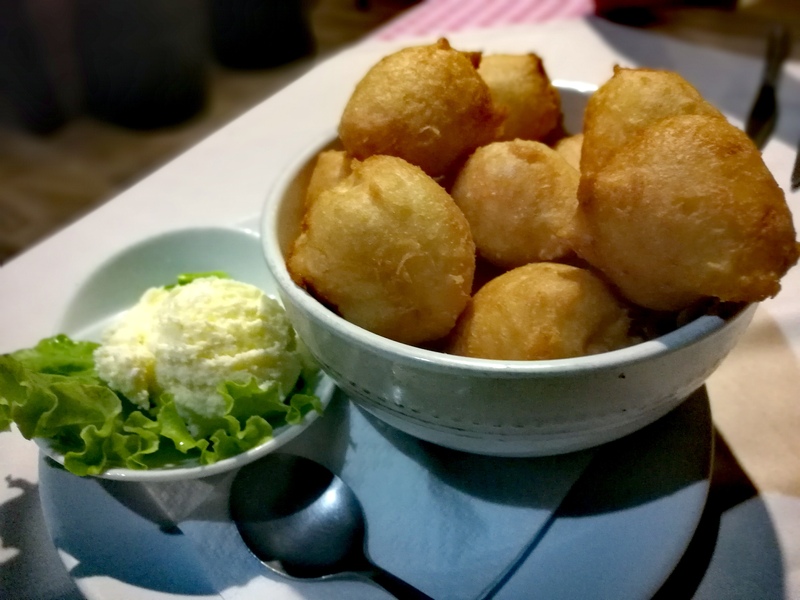 We started with uštipci, a type of fried dough with kajmak which is a type of cream cheese. They arrived hot, fresh from the oil, and kajmak was wonderful, perfectly creamy with that home made taste.Mi smo započeli priču s uštipcima s kajmakom koji su božanstveni. After that we went straight to the mains. 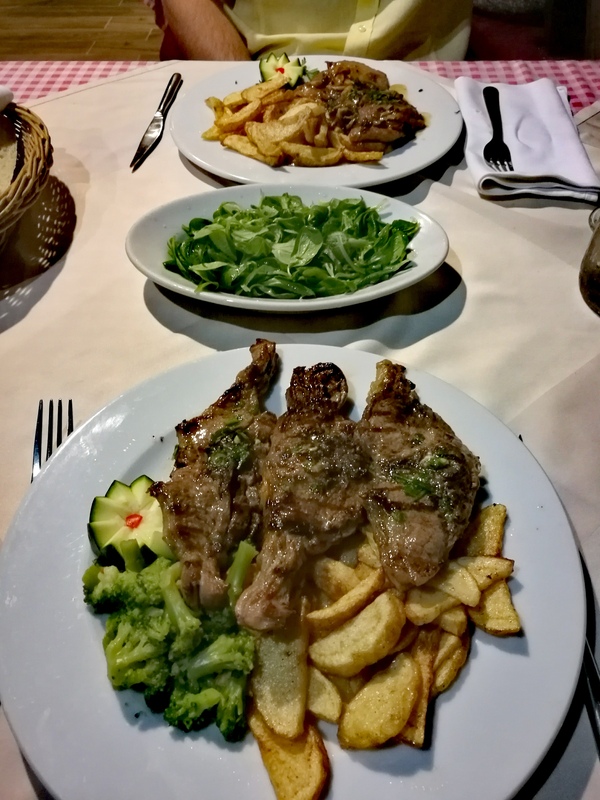 My boyfriend took a hunter’s steak, but I went for something better: lamb chops. I’ve never eaten them before and they rarely on the market or restaurant’s menus. But since they say it’s the best part of the lamb I had to give it a go. And it was divine. They serve it with juicy broccoli and potatoes. A bit of lamb’s lettuce and I’m as happy as I could be. Good food and good company. Portions are reasonable, but if you prefer a lot of food take the Grandpa’s or Grandma’s pan. We didn’t have dessert. 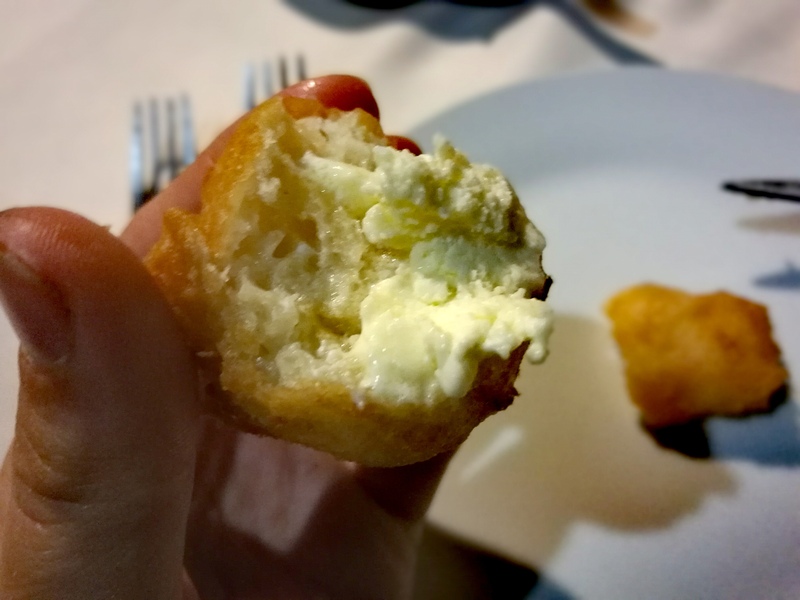 Prices are okay, between 10 and 20 euros per main dish, solid for the quality and quantity you get. Since it’s traditional food don’t expect anything exotic on your plate. I think frogs and snails are as exotic as you can go, but you have to order them in advance. All in all I’ll visit them again.